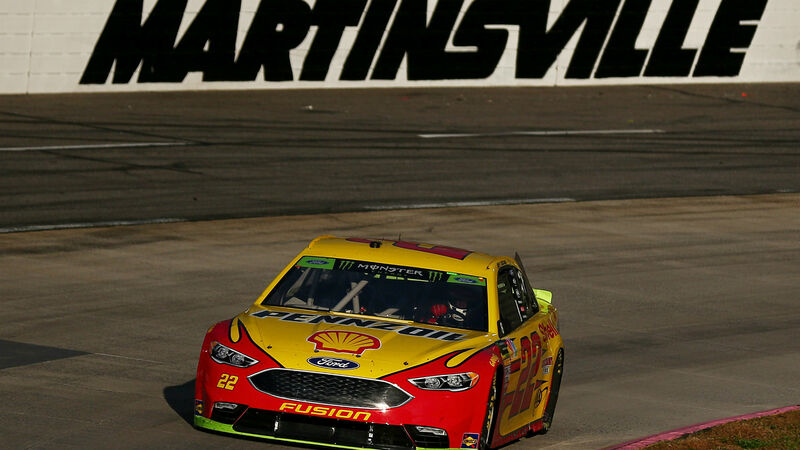 Joey Logano dominated most of the race Sunday at Martinsville Speedway, but in the end it took a controversial move to get him to victory lane. In a thrilling finish, the Team Penske driver bumped Martin Truex Jr. out of the way on the final lap, got sideways, then virtually slid across the finish line for the win. It’s the 20th win of Logano’s career and his second this season, but more importantly, it clinches him a spot in the Championship 4 at Homestead in the playoff finale next month. Truex was not happy with Logano’s move, and gave him a big bump on the cool-down lap. “He may have won the battle, but he’s not going to win the damn war,” Truex told NBCSN. Logano led 309 of the 500 laps. He got great pit stops all day, and his crew got him off pit road first for a late-race restart. But he had plenty of challengers toward the end, including teammate Brad Keselowski, Truex and Kyle Busch. Keselowski and Logano battled for the lead for several laps, but Truex passed Keselowski and immediately reeled in Logano. The two spent the final few laps battling side by side and nose to tail, before Truex, who had a faster car, got by on the final lap. Truex had the checkered flag in sight when Logano pulled his bump-and-run move, and the two drivers briefly lost control before Logano got by coming to the flag. Denny Hamlin snuck by Truex for second. “What goes around comes around,” Truex told NBCSN. When informed of Truex’s remark, Logano was unapologetic. “That’s expected there … but we’ve got to do what we’ve got to do,” Logano said. The Ashes highlights FREE: What time can I watch the latest action from England vs Australia fifth Test at the SCG?